Federal workers in Northern Virginia may need to find a new way to get to work next year, as officials with the Washington Metropolitan Area Transit Authority announced this week that some Virginia Metro stations will be closed in summer 2019. On Monday, WMATA announced a multi-year effort to rebuild 20 Metro station platforms, which includes a plan to close down some stations in Virginia entirely from Memorial Day until Labor Day next year. “Under the first phase of the plan, beginning next year, Metro is planning to demolish and rebuild the station platforms at Braddock Road, King Street and Eisenhower Avenue stations, resulting in a shutdown of rail service south of Reagan National Airport during the summer of 2019,” the agency wrote in a press release. Officials said they will work with impacted jurisdictions and other transportation agencies to attempt to mitigate disruptions caused by the extended station closures. Although the service changes are more than a year away, some federal officials already are keeping an eye on how plans to minimize the disruption develop, given the concentration of federal employees in the area. “As with the WMATA SafeTrack program, OPM will work with our federal, state and local partners to analyze disruptions to the transportation network and develop mitigating strategies,” said an Office of Personnel Management spokesperson. 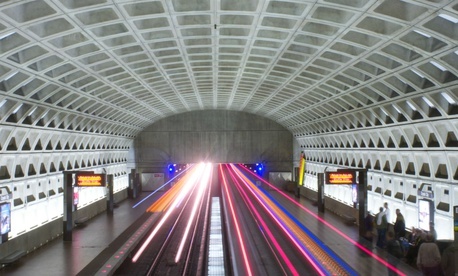 Rep. Don Beyer, D-Va., represents a district of Northern Virginia that contains five of the Metro stations facing closures, as well as the U.S. Patent and Trademark Office and some Defense Department offices. While he is supportive of WMATA’s plan to improve its rail infrastructure, he said he is concerned about its effects on traffic and people’s behavior. Beyer said he hopes agencies and OPM implement liberal telework policies to help feds who work in Virginia, as they did during Metro’s SafeTrack program to repair Metro tracks throughout the system. But he is worried by recent moves to curb telework, particularly at the Agriculture and Education departments. Ahead of next year’s closures, Beyer encouraged lawmakers and agencies to include feds in the discussion over how to cope with the coming station closures. He also floated the Virginia Railway Express as a possible temporary alternative to Metro. CORRECTION: The first paragraph of this story has been corrected to clarify that only some Virginia metro stations will be closed in the summer of 2019.